The Predator is not only the sixth film in the Predator franchise but also the first directed by Shane Black who previously starred in the first film. The film follows Boyd Holbrook and Jacob Tremblay as father and son who must work together with a group of PTSD-afflicted soldiers to not only fight back against the titular alien but also against the US military. It's a jumbled, poorly edited mess that doesn't live up to its potential and squanders the talents of everyone involved. 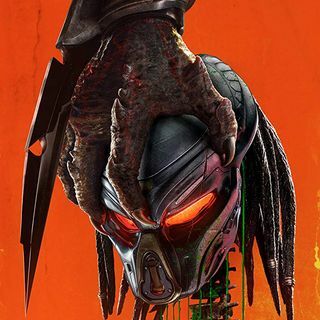 ... Más informaciones Mike White joins Chris and Eric to talk about the film and its disappointing place in the Predator canon. As always, you can follow Chris Stachiw at @KultureStach, Eric Kniss at @tychomagnetics and Kulture Shocked at @KultureShocked. The music is Wovoka’s “Lament,” and Da DeCypher’s “Two Step featuring Ben-Jamin”; big thanks to both for allowing us to use their tracks. Also, make sure to check out Jilly's Socks 'n Such for not only awesome socks but also gifts for any occasion! You can also subscribe to the Kulturecast on iTunes here. Also, don’t forget to check out our official Facebook page for news, upcoming reviews, contests, and new content along with our Patreon page.